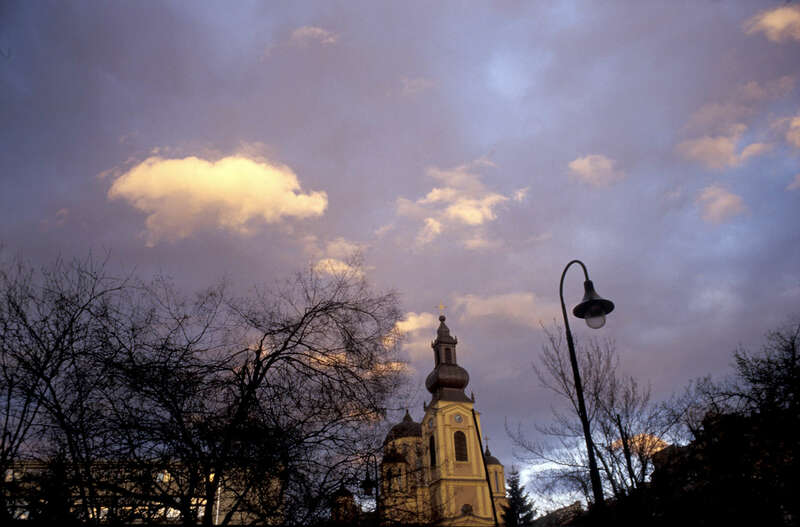 The main Serb Orthodox church in Sarajevo is lit by the setting sun. During the 1992-95 siege, Sarajevans respected all the religious and cultural monuments in their city, despite the fact that Serb forces were responsible for the siege. March 2004.